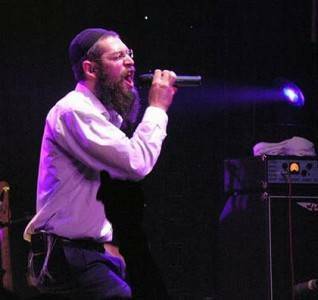 Matisyahu may just be the most popular American Hasidic Jewish reggae musician in the world. He’s probably also probably the only one, but that’s beside the point. Since his surprise hit “King Without a Crown” off his 2004 breakthrough album Youth, Matisyahu – born Matthew Paul Miller in 1979 – has been making the world safe for a religious Jewish guy singing in a Jamaican accent. From White Plains, New York to Bend, Oregon to Brooklyn, with stops in Manhattan and Israel to explore his Jewish heritage, Matisyahu‘s musical evolution has taken him from following Phish as a teen to MC’ing with a band called Soulfori in his early 20s to starting a career as a solo artist. Now on his third album, Light, Matisyahu is expanding his sound with more hip-hop beats, stabs at arena rock (“For You”) and dance (“Darkness Into Light)” while still sounding like a Jewish kid who grew up on a steady diet of Tuff Gong. We caught up with the former Phishhead in Jerusalem, where he was spending a month celebrating the Jewish holy days with his wife and children, in October of last year. 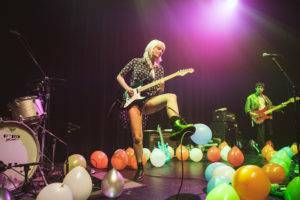 He plays the Commodore Ballroom in Vancouver this Sunday (Aug 8). Shawn Conner: How often do you get over to Israel? Matisyahu: I’ve been here maybe 10-15 times in the last five years or so. But I’ve been coming for the last three years, for this month, the first month of the Jewish years when all the holidays fall, all the Holy Days. We’ve been coming here for the first month for the last three years, and I have a big show here in Jerusalem. SC: And you bring your family. Matisyahu: My wife and my kids. It’s a time for me to just be with them, and get some strength and clarity. SC: I saw an Israeli band a few nights ago, Monotonix. Are you familiar with them? More conservative? Matisyahu: I don’t think so. There’s definitely a big Israeli audience that’s into reggae music, and dance and trance. You know the band Infected Mushroom?They’ve had some success outside of Israel, on the festival circuit and in the dance world. And now they’re pretty big in Israel as well. To be honest I don’t know too much about the music scene in Israel. I get into the spirituality. I have a couple of friends who are musicians here. This guy, Ben Azimir, he’s more like a jazz player. I’m not the best guy to ask on that topic. : And so go to temple a lot while you’re there? Matisyahu: Yeah, like the Wailing Wall. Different synagogues, different parts of the country, different biblical places. Like where Abraham walked with the Jews when they left Egypt and crossed over Jordan into Israel. I pretty much hang out in Jerusalem, it’s kind of like a cool scene here. If you’re Jewish and you’re from the diaspora and you know you’re Jewish, it’s part of who you are but you’re always on the outskirts, you came as a Jew to Jerusalem and the garbage man is wearing a yamulka, the taxi driver is Jewish. There’s this certain feeling you get which is pretty amazing. And then there’s a ton of Americans here, young North American Jews reconnecting with their heritage. And this is he epicenter for that. They might study for awhile or look for their soulmate, go to classes and try to get inspiration. Everyone is kind of on a similar place, looking for some kind of Jewish inspiration. SC: Would you say you had an awakening? You weren’t religious for the first part of your life, were you? Matisyahu: I came here when I was 16, and had a very powerful experience, for the first time really kind of connecting to the emotions and the feelings of this whole line I come from, all the tragedy and the insanity and the madness, the whole thing kind of erupted in me. As a teenager, searching for your identity and trying to figure out who you are and where you come from, it was very helpful for me to take on my Jewish identity. But I was like a hippie, and into different stuff. I didn’t really connect with the religious aspect, but at the same time I felt there was something powerful there for me to tap into. Five or six years later, when I was in college in Manhattan, I started to look religiously and want to tap into the actual spiritual tradition of Judaism. Then that process happened very fast. In a matter of months I was living in an ultra-Orthodox neighbourhood, not listening to music. I’d divorced myself from secular modern culture, kind of becoming a totally different person. That was for a few years, then I started coming out and doing music. And in the last five years for my career it’s been about how do I combine how I was raised and who I am with this religious identity as well. That’s kind of what the record represents for me. Matisyahu: He’s playing in Tel Aviv tonight, a sold-out show, 48,000, sold out in two days. He’s the biggest star in Israel, much bigger than Bob Dylan. SC: So do you know that line? Matisyahu: I like that idea. This world is cracked, the whole experience of this world is getting in touch with that broken cracked, tormented place. That’s the advantage we have in the world, the realness of that. There’s joy in that. SC: Is music your pulpit? Did you ever think about becoming a rabbi? SC: But at the same time you do want to spread a positive message. Matisyahu: I do, yeah, but it’s not really my focus. Music for me was always naturally my way of soothing my own self. And of course, I want to share that with people. That’s my place in the world, to contribute, and the place where I feel I can contribute the most is through music. SC: One thing about this album is, it’s very consciously more varied than Youth. Is that risky? It seems like a natural progression from the last record. Matisyahu: Yeah, totally. I’ve never been connected to just to one kind of music, but because my biggest influence when I started were reggae artists, locally, I was singing a little bit with that accent, and that’s probably why, even thought he music wasn’t the most authentic reggae music, the way I was singing had a reggae inflection, which is probably why I was labeled a reggae artist. With this record I allowed myself to do whatever I wanted. SC: While researching for this interview I came across an article by Kalefa Sanneh in the New York Times that called into question your authenticity, and the whole idea of all these white fans enjoy reggae music through a white conduit. I think he used the term “cultural appropriation”. Matisyahu: The whole concept to me is just totally bogus. The Torah, the Bible comes from Judaism, Christians Muslims will all acknowledge that. It starts witht he old Testament. Do you want to say Christianity is the cultural appropriation of Judaism? Reggae music is constantly quoting the old testament, quoting the Bible, Bob Marley, “Exodus”, all of these songs are basically founded on the Old Testament. You can swing that comment the other way. That’s also one of the main forms of anti-Semitism, people saying Jews are appropriating all forms of music and art. That’s what this world is all about. First of all, there’s this mixture that happens. It’s not like there’s music from Africa, from China, from the Middle East. It’s all mixed up, kids from all over the owrld are listening to music of all different styles. People are all about relating to the thing that speaks to them. You might have a Jewish kid for whom klezmer music just doesn’t do it for him, he’s listening to rap music every. I don’t know, would this dude rather I picked up a clarinet and started doing klezmer music? It has nothing to do with my life. This entry was posted in interviews and tagged Commodore Ballroom shows, interviews, Vancouver shows. Bookmark the permalink.